A journey into self reflection the blue sea & nature at its best. 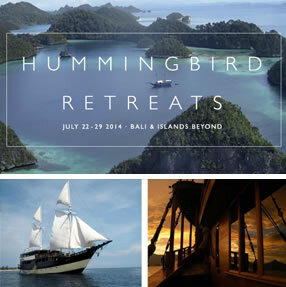 Hummingbird retreats presents a unique seven days of island sailing through the calm waters of Nusa Tenggara (archipelagos). We will follow the island ley-lines and smooth sail through the azure blue Flores Sea to the warm, clear waters and pristine beaches of the Archipelagos. We will explore the hidden treasure of the lush jungles and coral gardens, being mindful that in each moment nature presents an opportunity to dive deeply into the interconnections of life. Qigong anchors our wellbeing every morning and regenerates body, heart and mind. Personalized acupuncture sessions will further release the burden of hectic city life. Follow the path with daily acupuncture, meditation and healing Qigong; massage and fresh balanced meals in an adventure that will bridge heaven and earth. 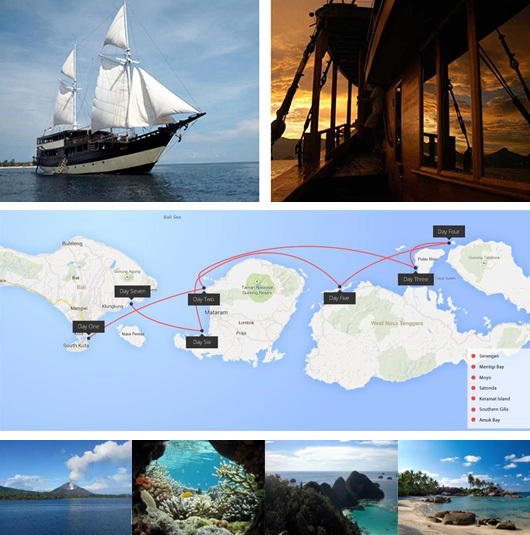 Sailing unspoiled regions of the Western Archipelago Islands away from the usual tourist routes. Day 7 – Alila Resort Candi Desa check in 3pm.